beautiful place !! its heaven !! Excellent photo of this beautiful place! I want to live in there.. Absolutely a great building! Bella. I colori sono stupendi così come la composizione. Great colors and saturation! A very photogenic subject. This is really, really nice Jesper. The clarity and colours are wonderful. Did you shoot this in RAW? WOW! The best autumnal shot I've seen in a long time. this is a really great shot: the house seems to come out of the screen! beautiful colors! many congrats for your wonderful portfolio. A perfect composition, wonderful color balance. Precioso paisaje, los colores y los detalles son fantásticos. Painterly quality! Great colours! Very attractive composition!I like the sky! Almost unreal beauty! Is that an HDR shot by any chance? A very beautiful image with such wonderful colors! Love the post processing work as well! 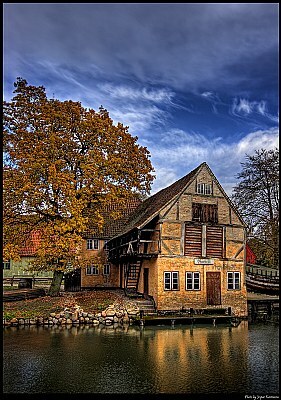 wonderful colours and contrast,the building is so characteristic.lovely shot!